Describing himself as ‘a composer who can satisfy all kinds’, Stephen Paulus possesses a remarkable versatility and gift for the dramatic. Concertos for string quartet and orchestra are a rarity, and Three Places of Enlightenment is both a journey of discovery for the listener and a spectacular showcase for the principal strings of the Nashville Symphony. Both this concerto and the reflective Veil of Tears are considered by the composer among his most significant works. Employing hymn fragments, the Grand Concerto is a work of sweeping gestures and melodies as well as wide contrasts of mood and texture. 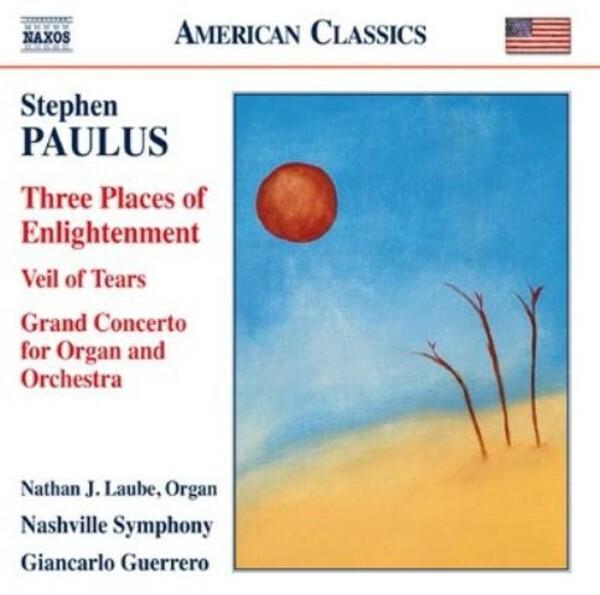 Nashville Symphony Music Director Giancarlo Guerrero has had a close working relationship with Stephen Paulus for many years. World Premiere Recordings of Three Places of Enlightenment and Grand Concerto.